1. 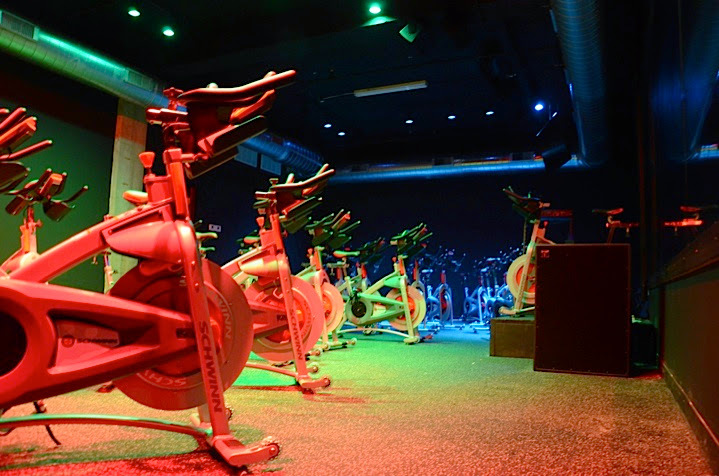 Is Urban Life Spin just for Urban Life CrossFit members? NO! It's open to anyone! 2.How do I get started? Sign up to create an account, buy rides, pick a class date/time, and reserve a bike! 3. How do I reserve a class? In order to reserve a bike, you must first purchase classes. To buy classes, sign up for a username and password or if you've already created an account, you can simply login to purchase classes and begin reserving. We accept Mastercard, Visa, American Express, and cash. Yes! There is also a changing area. 5. Do you offer cycling shoe rentals? 6. How many calories will I burn? A lot! Generally, 400 - 600 calories, depending on how hard you pedal! 7. Is SPIN only for elite athletes? No, SPIN is for everyone! Yes, plenty on the Marcellus St side of the the Rock West building. 9. When do classes need to be cancelled? Classes must be cancelled 24 hours before the scheduled class or your credit will be forfeited. Classes can be cancelled online or by emailing the studio at spin@urbanlifeathletics.com.